Charles Betts competed in the 2012 Summer Olympics games in London, UK. October 26, 2003 – MPW: Casanova defeated Chas Betts to retain the cruiserweight title. November 9, 2003 – MPW: Chas Betts and The Punisher defeated Dazed And Confused (CJ Talon and Jake Classic). November 16, 2003 – MPW: Chas Betts defeated The Enforcer. April 25, 2004 – MPW: Team Storm (Chas Betts and Kurt Pope) defeated Johnny Emerald and Version 2. May 29, 2004 – MPW: Josie and The Punisher defeated Chas Betts and Kurt Pope. May 30, 2004 – MPW: El Viejo defeated Chas Betts. July 24, 2004 – MPW: Chas Betts defeated Mason Quinn. August 8, 2004 – MPW: Arik Cannon vs. Chas Betts ended in a no contest. August 14, 2005 – NIW: Kid Krazy defeated Chas Betts. November 14, 2012 – PWB: Luther Wilson III defeated Chas Betts to retain the Breakout title. January 5, 2013 – PWB: Chas Betts, PJ Thorn and Venom defeated James Dawson, The Mad Russian and Ty Cooper. March 9, 2013 – MIW: Chas Betts defeated Benjamin Sailer. September 14, 2013 – PWB: Chas Betts defeated Renny D to retain the PWB title. October 26, 2013 – HOW: Ariya Daivari defeated Chas Betts to retain the Undisputed title. November 2013: Charles Betts signed a WWE contract with NXT and will undergo training before joining the Television roster. September 5-6, 2014 – NXT Live Event: Chad Gable defeated Troy McClain. October 4, 2014 – NXT Live Event: Chad Gable defeated Bull Dempsey. October 9-10, 2014 – NXT Live Event: Dash Wilder and Scott Dawson defeated Chad Gable and Jason Jordan. October 11, 2014 – NXT Live Event: Colin Cassady and Enzo Amore defeated Chad Gable and Jason Jordan, Dash Wilder and Scott Dawson & Elias Sampson and Tye Dillinger in a 4-way battle royal tag match. Chad Gable and Jason Jordan defeated Dash Wilder and Scott Dawson. October 16, 2014 – NXT: Dash Wilder defeated Chad Gable in a dark match. December 5-6, 2014 – NXT Live Event: Buddy Murphy and Wesley Blake defeated The Shoot Nation (Chad Gable and Jason Jordan). December 18, 2014 – NXT Live Event: The Mechanics (Dash Wilder and Scott Dawson) defeated The Shoot Nation (Chad Gable and Jason Jordan). January 8, 2015 – NXT: Tyler Breeze defeated Chad Gable. February 6, 2015 – NXT Live Event: Chad Gable defeated Digg Rawlis. February 13, 2015 – NXT Live Event: Chad Gable defeated Mike Rawlis. 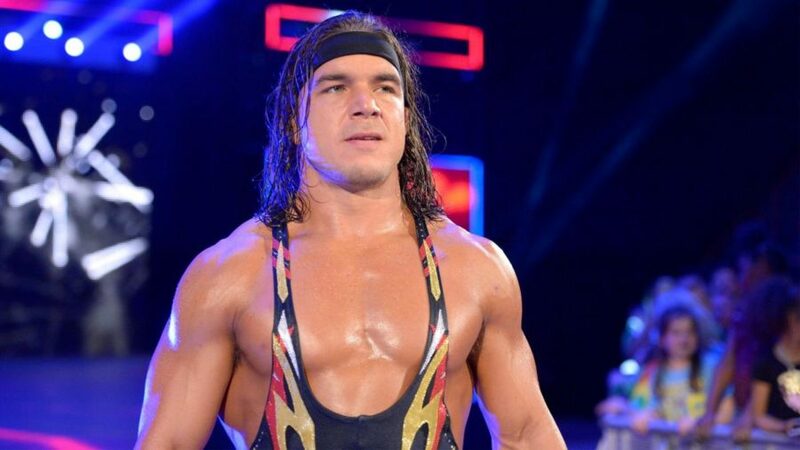 February 18, 2015 – NXT: Chad Gable defeated Mike Rawlis in a dark match. February 20, 2015 – NXT Live Event: Solomon Crowe defeated Chad Gable. February 21, 2015 – NXT Live Event: Chad Gable defeated Michael Carter. March 12, 2015 – NXT Live Event: Chad Gable defeated Mike Rawlis. March 13-14, 2015 – NXT Live Event: Solomon Crowe defeated Chad Gable. April 2, 2015 – NXT Live Event: Solomon Crowe defeated Chad Gable. April 3, 2015 – NXT Live Event: Mike Rawlis, Dash Wilder and Scott Dawson defeated The Shoot Nation (Angelo Dawkins, Chad Gable and Sawyer Fulton). April 4, 2015 – NXT Live Event: Solomon Crowe defeated Chad Gable. April 9, 2015 – NXT Live Event: The Vaudevillains (Aiden English and Simon Gotch) defeated The Shoot Nation (Chad Gable and Jason Jordan). April 10, 2015 – NXT Live Event: Solomon Crowe defeated Chad Gable. April 16, 2015 – NXT Live Event: The Vaudevillains defeated Jason Jordan and Chad Gable & NXT tag team champions Blake and Murphy in a 3-way non-title match. April 18, 2015 – NXT Live Event: Solomon Crowe defeated Chad Gable. May 1-2, 2015 – NXT Live Event: Mojo Rawley defeated Chad Gable. May 7, 2015 – NXT Live Event: Mojo Rawley defeated Chad Gable. May 9, 2015 – NXT Live Event: Mike Rawlis defeated Chad Gable. May 23, 2015 – NXT Live Event: Mike Rawlis defeated Chad Gable. May 29, 2015 – NXT Live Event: Solomon Crowe defeated Chad Gable. May 30, 2015 – NXT Live Event: Mojo Rawley defeated Chad Gable. January 15, 2016 – NXT Live Event: Jeet Rama defeated Chad Gable. September 6, 2016 – SmackDown Live: American Alpha (Chad Gable and Jason Jordan) defeated The Usos (Jey Uso and Jimmy Uso) in the semi-finals. October 1-3, 8-10, 2016 – Live Event: American Alpha (Chad Gable & Jason Jordan) & The Hype Bros (Mojo Rawley & Zack Ryder) defeated The Ascension (Konnor & Viktor) & The Vaudevillains (Aiden English & Simon Gotch). June 20, 2017 – SmackDown Live: Kevin Owens defeated Chad Gable to retain the United States title. July 4, 2017 – SmackDown Live: AJ Styles defeated Chad Gable to qualify for the Independence Day Battle Royal. July 22, 2017 – Live Event: Chad Gable defeated Konnor. July 24, 2017 – Live Event: Chad Gable, The Hype Bros (Mojo Rawley & Zack Ryder) and Tye Dillinger defeated Aiden English, Erick Rowan & The Ascension (Konnor and Viktor). August 1, 2017 – SmackDown Live: Rusev defeated Chad Gable. August 15, 2017 – SmackDown Live: Chad Gable defeated Rusev by disqualification. August 22, 2017 – SmackDown Live: Daniel Bryan revealed to Chad Gable that he will have a new tag team partner and it will be Shelton Benjamin. August 29, 2017 – SmackDown Live: Chad Gable and Shelton Benjamin defeated The Ascension (Konnor and Viktor). September 12, 2017 – SmackDown Live: Chad Gable and Shelton Benjamin defeated The Hype Bros (Mojo Rawley and Zack Ryder). September 23, 2017 – Live Event: Rusev defeated Chad Gable. September 24, 2017 – Live Event: Chad Gable defeated Rusev. October 1-2, 2017 – Live Event: Rusev defeated Chad Gable. October 8, 2017 – Hell In A Cell Kickoff: Chad Gable and Shelton Benjamin defeated The Hype Bros (Mojo Rawley and Zack Ryder). October 10, 2017 – SmackDown Live: Chad Gable and Shelton Benjamin defeated Breezango (Fandango and Tyler Breeze), The Ascension (Konnor and Viktor) & The Hype Bros (Mojo Rawley and Zack Ryder) in a 4-way tag team match to become #1 contenders for the tag titles. October 23, 2017 – RAW: Chad Gable and the SmackDown Live roster showed up and attacked the Monday Night RAW roster. October 24, 2017 – SmackDown Live: Chad Gable and Shelton Benjamin defeated The New Day (Kofi Kingston and Xavier Woods). January 14, 2018 – Live Event: The New Day (Big E and Xavier Woods) defeated Chad Gable and Shelton Benjamin. February 6, 2018 – SmackDown Live: Chad Gable and Shelton Benjamin defeated The Ascension (Konnor and Viktor). February 20, 2018 – SmackDown Live: The New Day (Big E and Xavier Woods) w Xavier Woods defeated Chad Gable and Shelton Benjamin to become #1 contenders for the tag titles. March 20, 2018 – SmackDown Live: Breezango (Fandango & Tyler Breeze) and Zack Ryder defeated Chad Gable, Mojo Rawley and Shelton Benjamin in a dark match. March 27, 2018 – SmackDown Live: Shinsuke Nakamura defeated Shelton Benjamin w Chad Gable. April 8, 2018 – WrestleMania 34 Kickoff: Chad Gable was in the Andre The Giant Memorial battle royal won by Matt Hardy. April 16, 2018 – RAW: Chad Gable was part of the Superstars shake up and is now a member of the Monday Night RAW roster. April 27, 2018 – Greatest Royal Rumble: Chad Gable entered the Royal Rumble match at #26 but was won by Braun Strowman. May 15-18, 2018 – Live Event: Chad Gable and Zack Ryder defeated Goldust and Mojo Rawley. June 15, 2018 – Main Event: Mojo Rawley defeated Chad Gable. July 13-14, 2018 – Live Event: Chad Gable defeated Mike Kanellis. July 27-29, 2018 – Live Event: The Authors Of Pain (Akam and Rezar) defeated Chad Gable and Zack Ryder. October 19-20, 2018 – Live Event: Chad Gable defeated Jinder Mahal. March 18, 2019 – RAW: Kurt Angle defeated Chad Gable. April 7, 2019 – WrestleMania 35 Kickoff: Chad Gable was in the Andre The Giant memorial battle royal won by Braun Strowman. @Ajthoma28309275 @RingsideC @MickieJames @YaOnlyLivvOnce @WWEApollo @itsBayleyWWE @WWERomanReigns @WWEEmberMoon @FinnBalor @WWEGable @IAmEliasWWE Gail Kim is better than Alicia Fox, and Gail has improved over time. Alicia hasnt. You have to imptove to become a champion. 10yrs ago... 99.7% of women could not wrestle in WWE. 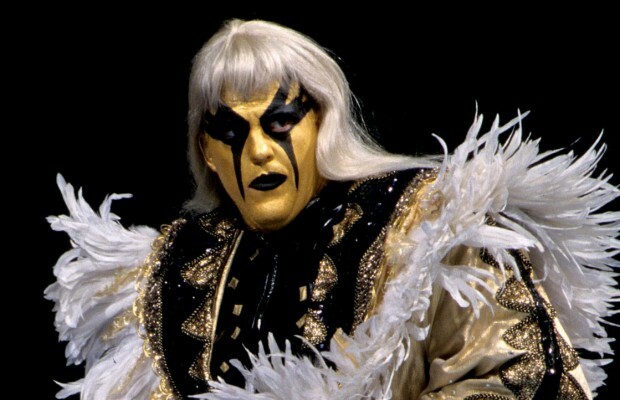 The actual good ones in that time frame was Katma, Chyna and Lita. No debating.